Business Sutra |4.2| Can the End Justify the Means? – The world is too small? or Is it? Business Sutra |4.2| Can the End Justify the Means? The present episode, 4th one in the series, deals with Conflicts, wherein we have looked at one of classic set of conflicts – that between the Board and the CEO. Cambridge Dictionary defines the phrase “the end justifies the means” as said about a situation in which the final aim is so important that any way of achieving it is acceptable. With that in mind, although it isn’t fully misguided to attribute an ultra-realist grey area line of political thinking to the Father of Modern Political Science Niccolò Machiavelli, this consequentialist misquote is an over simplification of Machiavelli’s realist Republican philosophy and the phrase itself never appears in his work in the way in which it is often passed around in modern times (all an isolated and specific sentence “the ends justify the means – Period”). Consequentialism is the class of normative ethical theories holding that the consequences of one’s conduct are the ultimate basis for any judgment about the rightness or wrongness of that conduct. Thus, from a consequentialist standpoint, a morally right act (or omission from acting) is one that will produce a good outcome, or consequence. In an extreme form, the idea of consequentialism is commonly encapsulated in the saying, “the end justifies the means“, meaning that if a goal is morally important enough, any method of achieving it is acceptable. Consequentialism is usually contrasted with deontological ethics (or deontology), in that deontology, in which rules and moral duty are central, derives the rightness or wrongness of one’s conduct from the character of the behaviour itself rather than the outcomes of the conduct. It is also contrasted with virtue ethics, which focuses on the character of the agent rather than on the nature or consequences of the act (or omission) itself, and pragmatic ethics which treats morality like science: advancing socially over the course of many lifetimes, such that any moral criterion is subject to revision. Consequentialist theories differ in how they define moral goods. Some argue that consequentialist and deontological theories are not necessarily mutually exclusive. For example, T. M. Scanlon advances the idea that human rights, which are commonly considered a “deontological” concept, can only be justified with reference to the consequences of having those rights. He who is ever brooding after result often loses nerve in the performance of his duty. He becomes impatient and then gives vent to anger and begins to do unworthy things; he jumps from action to action, never remaining faithful to any…When there is no desire for fruit, there is no temptation for untruth or himsa. Take any instance of untruth or violence, and it will be found that at its back was the desire to attain the cherished end. A few pages later he expounds upon the subject. We should do no work with attachment. Attachment to good work, is that too wrong? Yes, it is. If we are attached to our goal of winning liberty, we shall not hesitate to adopt bad means. 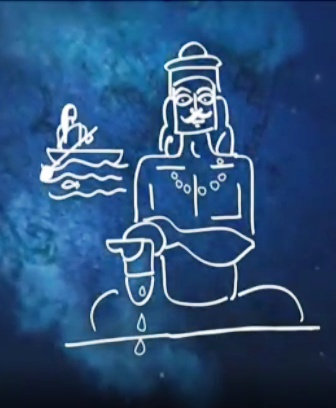 For such a complex topic, let us see what Devdutt Pattanaik has to say in Segment 2 of the episode 4 – Can the End Justify the Means?, as the Indian Mythology’s point of view. Governance is always referred to as the spirit of governance because like we’ve said governance needs to go beyond what the rulebook says. It is not just a adhering to the rules, it is about taking into account and keeping in mind the interest of all stakeholders. So I have a couple of questions that to me seem like governance conflicts and I want to know what our scriptures have to say about them. Can the end justify the means, because I think in various points in the Mahabharat and as laid out in your book as well, Krishna violates every rule of war and yet he does that so as to be able to help the Pandavs win. Look at the assumption. If the rules are followed then good will happen. This is what we are saying. So rules are almost good. First of all this very idea is alien to Indian because rules exist in a context and the same rule in a different context may not apply. For example you have a rule that says that if you obey the father you are a good son. Now in the Mahabharat, Bhishma obeys his father’s. Father says one day that that he’s unhappy because he has fallen in love with a young woman. The young son Bhishma, a.k.a Devvrat, discovers his father has fallen in love with the a fisher woman. He goes to the fisher woman and says I want you to marry my father. The woman says that you know I won’t marry unless my children become kings and the only way my children become kings if you give up the throne. He says I give up the throne. She further says that if your children may with fight my children. He says that I will never marry. So the son sacrifices for the father. Now son sacrificing on father’s word seems good in the Ramayana has a terrible effect in the Mahabharat, because by that one act he destroys the family tree. Al children born after that are not born normally. They were born through the intervention of sages or the gods and what ends up is the Mahabharata the whole fight for the kingdom. So we have to be very careful when we say rules equal to good because as every good lawyer knows that not the letter of the law, but the spirit of the law is important. Now coming to the Mahabharat, when you’re talking about ends and mean,s let’s ask us as what happens at the end of the Mahabharat? On one side you have the Kauravas and the other side is the Pandavas. Let us ask ourselves you know what the victory would be like. At the end of the war, 100 of the Kauravas are killed. Good, the villains are dead so that must be natural law. But let’s look at the narrative and this is unfortunately in modern retellings we don’t focus – each and every son of the Pandavas is killed. Five sons born of Draupadi are also killed. Draupadi now argues all the villains have been killed but so are all of my sons too. What kind of victory is that? I have got the kingdom but the children are dead. What happens to Krishna Hi is cursed that 36 years later his entire family will be destroyed. So in the end, everybody has lost. The story of Mahabharat is not about winning the war but is about empathy. Remember when the war is being fought Krishna goes to Duryodhan and says I want peace. Duryodhan then says no I don’t want to have peace. At the end they enter into an agreement a contract that for 13 years these people who have gambled away the kingdom will go to the forest. When they come back they will get their kingdom again. It was a very clear contract right. Athe end of that period when the one part has been complied with the other party has to honour his end of the bargain. Duryodhan then violates the contract (defaults). He argues on calendar, he argues on time, he argues that you know maybe they didn’t really do it, for I caught them before that. He keeps arguing about technicalities. Finally Krishna says enough is enough. How about giving them five villages and he says no. Krishna said how about the house with five rooms. Duryodhan says no not a needlepoint of territory will I give. This is where his intention is being released. Till then he was following the law, Even now, he was following the rules, what he said was well within the rules, but his intention was dishonorable. So he had to be pushed to the corner and when he was pushed to the corner, it resulted in war. But that war, in turn, ended up destroying most people. If the war had not been fought this King, who doesn’t care for anybody else, would have thrived. Resultantly, what kind of a society would have existed? What kind of God do we worship in Krishna when he broke every rule of that war just to ensure that the Pandavas win? I understand that his intent was to restore fair and just governance, or to ensure that a king like Duryodhan does not get to continue. Yet how can the end justify the means? What is the end of the Mahabharat not the war? You see that is the twelfth chapter of the Mahabharat. There are six more chapters after this which again is not part of common translation. Do you know what is the original name of the Mahabharat ? It is called Jaya, Jaya as in victory. There’s another word for victory in India – it is called Vijaya. Why have they given the strange name, Jaya, to this book? Because, the story does not end with the war, which was the bloodshed where nobody is a winner.Krishna says a king who behaves like an animal then the societies that he rules is good as not existing. Kauravsa were killed, Pandavs suffer heavy damage.A the end of 36 years we are told that the Pandavas died and the eldest brother Yudhisthira, who is supposed to have created this wonderful Kingdom where all rules are followed, goes to heaven. As he enters the heaven, and can you imagine what, the first thing he sees there are 100 Kauravsa. This is called Swarga Aharonika Parva. Remember Yudhistithir has walked up the mountain; he has given up everything – his kingdom, his wealth, his cows, his gold. Even his wife dies, he doesn’t turn around. He have given up relationships His brothers die, yet he doesn’t look back. He just keeps walking upfront.. Now when he comes to the gates of heaven, this great man who’s given up everything, he sees Kauravas. He is furious. He says how these murderers can be kept over there when my brothers or my wife are not here. He keeps arguing. His brothers are in hell because in those 36 years perhaps they were not all that great. We don’t know much but there are stories about some details of misdeeds. For example, Drupadi favored one of the husbands, Bhim was a glutton and Arjuna was very insecure and conceited. So he is told that for each of the reasons, they were banished to hell. 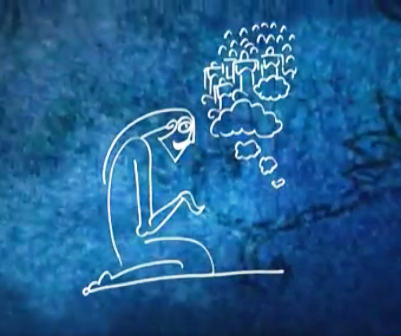 The gods asks Yudhisthira as to why is he so angry. He says the gods are being unfair because the villains cannot be in heaven. Now imagine why Vyasa is putting this twist in the tale. Because he wants to communicate something deeper He says, Yudhistira, you have been a Great King, you have given up everything except your anger. You have you have already killed these bad guys. They have been punished. You have ruled a kingdom for 36 years. So why have you not forgiven them yet. If you can’t forgive them, if you can’t purge your heart of anger what have you actually given up? Why should heaven be yours? Oh, so Yudhisthir doesn’t get a place in heaven? No. he is being asked that unless you purge your heart of anger and fill it up with forgiveness you cannot enter Heaven. That is Vijaya, victory over others but not Jaya, the victory over you. That will only happen when there is empathy in your heart. Yudhisthira does not display empathy. He is unable to forgive the villain. It is not eternity. They have done the crime and have paid for it. While Ramayana talks about perfect King, Mahabharat talks about the process of creating the perfect King. The process of perfect king is for the CEOs and the leaders and managers to ask themselves why are they doing what they are doing? Is it coming from exploitation of people and then make lots of money, travel in BMWs? Is that the point of living because then you’re no different from the lion the alpha male. In ancient India you were supposed to sit on the lion throne which means you are not supposed to be the lion. You have to outgrow the lion. You do not have to be this great alpha male and dominate society. It is not about Vijaya, defeating the other alpha males, It is about Jaya which is conquering the animal inside you that enables you to not be Duryodhan and say not a needlepoint of territory I will give, not an inch in negotiations. You get this false sense of triumph. It is about discovering that why do kings exist. You don’t exist to make money for yourself. You exist to ensure wealth is generated and distributed so that everybody in your kingdom can discover the purpose of life. So does Yudhisthir still get a place in heaven? So, do the rest of the Pandavas, the four of them, are not in heaven? There are infinite lives. This is just one of their many lives. Okay at the end of that life does he get a place in heaven? I have one last question on this I can understand why the Pandavs went to hell. You explained it. Draupadi favored one out of five husbands; Bhima was a glutton: Arjun was vain; Yudhisthir still held on to his anger, But then why did the Kauravs get into the heaven, considering that they are no better off. It is like what happens during appraisals. I don’t think he’s good enough to get the raise. Or the guys whom you hate get the raise and guys whom you love don’t get the raise. So we decide we know the rules of God. The best time to meet people is post-appraisal. Everybody imagines who they consider as heroes and who they consider villains. Somehow it never matches that of the management. The management has heroes and villains of their own. The upstream and downstream gaze is very different. Everybody believes they know who belongs in heaven and who belongs in hell. I am not saying that the Kauravs belong in hell. I am curious to know that despite everything that they did, denie the Pandavs their rightful Kingdom, why did they end up going to heaven? Well, one the reason is because of the land on which they died. That was considered to be very auspicious. It was just luck , a very good luck to happen to die on a land which was considered to be holy, that’s all. But you see the fact is your stay in heaven is not permanent. It is not heaven with a capital H. It is heaven with a small h, which is a destination to stop over. You will live in heaven for only a limited duration of time and then you will move on to the next life and the next life. It is like you know that Swarg is a place where you go when you have got enough equity and hell is the place for you with has too much debt. So, is a right means for a right is more a matter of chance? It is like using equity or debt to fund your growth. Too much of either is likely to be dysfunctional. And what is ‘too much’ is matter of the context! The “end justifies the means” managers often are so blinded by their own success, they don’t see the limitations of their approach, they actually believe that they can continue like this, or they believe that this is the only way they can be successful. In our journey of Devdutt Pattanaik’s TV serial Business Sutra, we will move on to the 5th episode – Education.